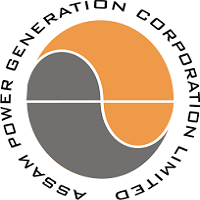 Assam Power Generation Corporation Ltd (APGCL) Invites applications for the post of Medical Officer. Apply before 03 March 2018. Age Relaxation : 03 years for OBC Candidates and 05 years for ST/SC Candidates. APGCL Selection Process : Selection will be based on viva-voce to be notified in due course. Application Fee : Candidates have to pay Rs. 500/- (for General/ OBC/ MOBC Candidates) & Rs. 250/- (for sc/st Candidates) through Demand Draft in favour of Deputy General Manager (F&A), Assam Power Generation Corporation Limited, BijuleeBhawan, Paltan Bazar, Guwahati – 781001.